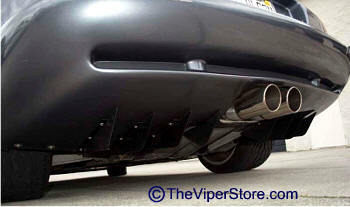 Stainless steel rear diffuser kit includes 8 fins (4 right side and 4 left side) powered coated in textured black. Bolts to existing bolt holes with one exception per fin. One hole needs to be drilled per fin. All bolts and hardware is included. Comes with 8 fins, use 6 or 8 based on year group. 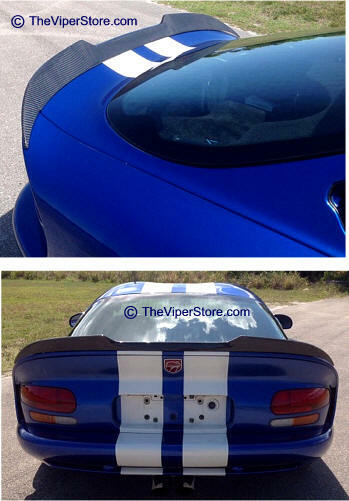 NOTE: For rear exit exhaust like the RT/10 you will use the 8 pc diffuser set. 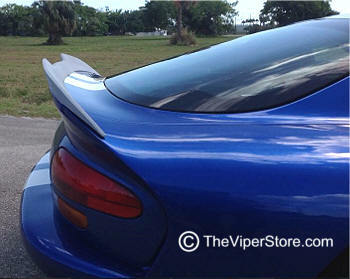 With side exit exhaust like Gen 1 or GTS you will not use the inner smaller fins, only the outer 6 fins. 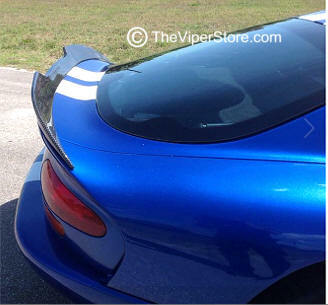 This spoiler is designed from the Viper Gen5 2013-Current Viper SRT spoiler. 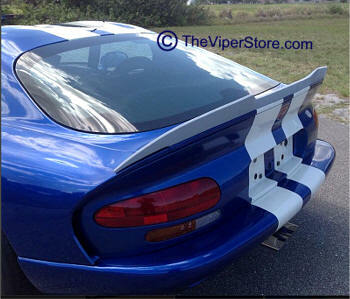 Fits on top existing rear spoiler. 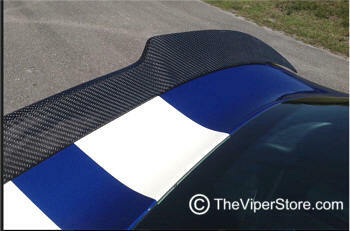 100% strong - light weight Carbon Fiber. No drilling or modification necessary. 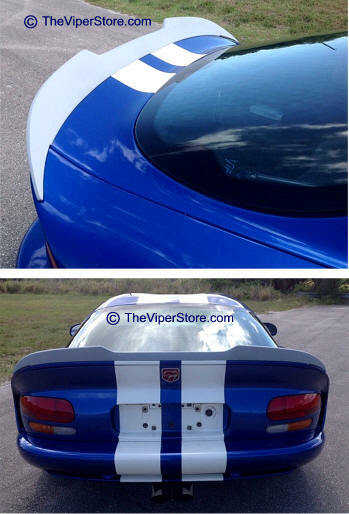 Easy peel and stick installation - just like the Viper Gen5 spoiler. 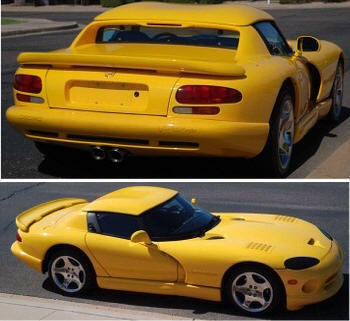 Does not fit RT-10 convertible. Made in the USA. 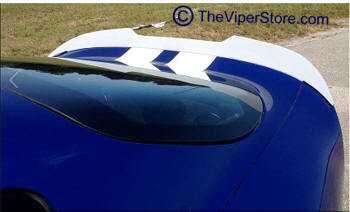 All fiberglass construction. No drilling or modification necessary. Precision produced from exceptional mono-composite. 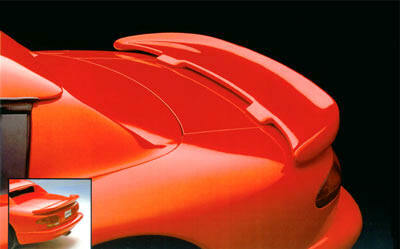 The same material used to product the splitters for many of North America's most successful professional race cars. 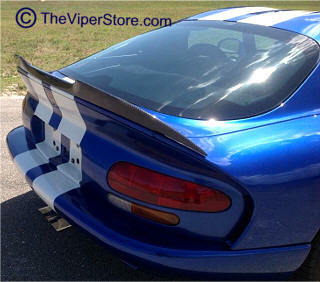 This splitter is designed to add down-force to enhance handling and stability to the front of the car while providing an aggressive race-car appearance. 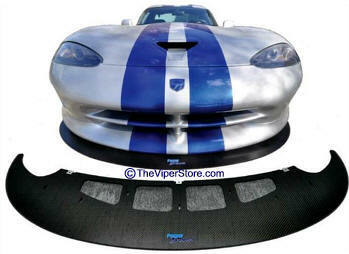 This splitter system includes a professionally engineered installation kit. 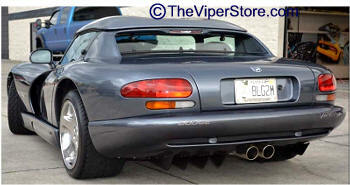 Kit includes all connectors and hardware needed to safely and securely attach the splitter to your car. 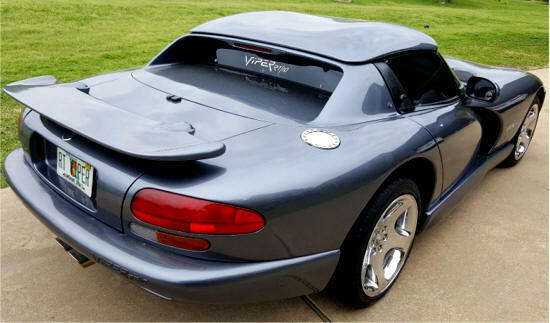 The only additional component required is a pair of strut rods. 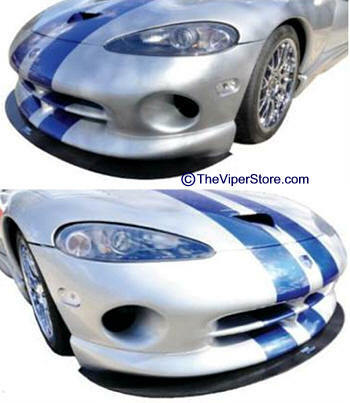 Due to many styles and mounting methods we leave this up to you. Below is one possible set. 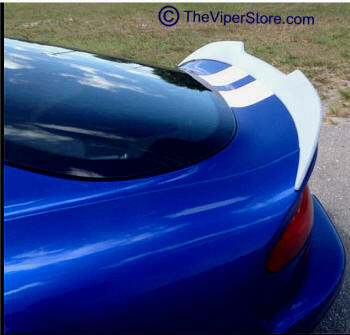 This wing is a duplicate of the famous Viper MOPAR Spoiler (no longer available from Dodge) Comes Finished in white gel coat and ready for primer and paint. 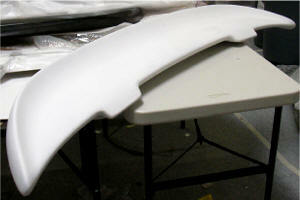 Once painted this wing can be installed in less than an hour. 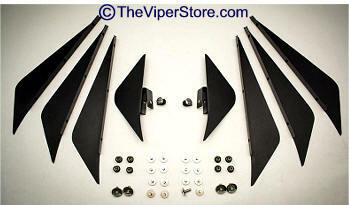 Includes gaskets, bolts, and template for install.